We had our first snowstorm last week and today it’s -20�C with the windchill. It’s cold, it’s snowy and I’m happy to stay inside and knit. I finished the last pair of slippers for my family today. 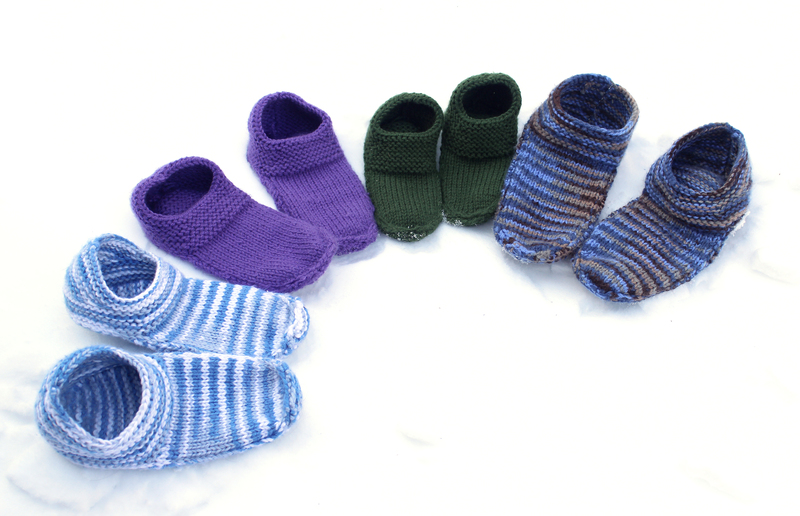 I used Kris Krafter’s Options Slippers for Men pattern and adjusted it to fit my two daughters. I didn’t clue in until later that she already has the same pattern for children and women. These are fun to make and I love the options she gives for soles. If I find the soles wear out quickly (I knit the soles), I might try using the felt ones instead. These look so great that I have several friends asking if I can make them a pair.